Apple will be forced to pull iPhone 7 and iPhone 8 from shelves in Germany after Qualcomm posted a bond to bring a December court order into effect. According to a new report from Reuters, Qualcomm on Thursday took steps to enforce a court order banning the sale of some iPhone models in Germany, a move that will likely see Apple pull those iPhone models from its German stores. Late last month, the District Court of Munich found that Apple infringed Qualcomm patents related to power-saving technology and ruled that the iPhone maker must halt sales of the device in Germany. Apple, which could do with every possible iPhone sale at the moment, said at the time that it plans to appeal the ruling, with the aim of delaying – and ultimately overturning – the sales injunction. Apple said, though, that during the appeals process, it wouldn’t sell the older iPhone 7 and iPhone 8 at its 15 retail stores in Germany. On Thursday, Qualcomm made the sales ban official by posting 1.34 billion euros in bonds covering potential damages incurred by Apple should the judgment be overturned or amended on appeal. Apple on Thursday referred any questions to a statement it made after the initial ruling. 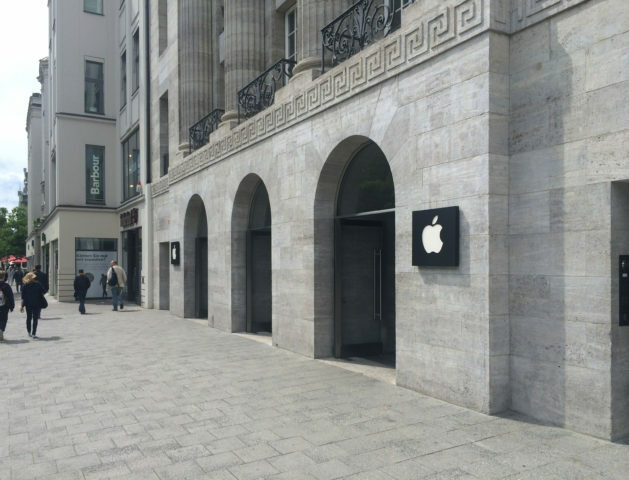 The US technology group said then that it would stop selling the iPhones 7 and 8 in its 15 Apple stores in Germany. All iPhone models would remain available through mobile carriers and resellers, however. The iPhone X was discontinued last year.